Powerful branding is the key to author success. 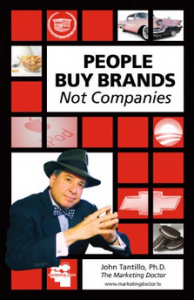 Listen to Dr. John Tantillo, the brand marketing expert, as he shares his powerful branding and marketing secrets. Better known as the Marketing Doctor, John Tantillo is the branding editor for Fridge Magazine, the publication for entrepreneurs and small business owners. Over the years, Dr. T has become a personal branding professional who uses his doctoral skills in psychology and marketing to assist others to “go brand yourself.” He’s the author of “People Buy Brands Not Companies,” and the Udemy course, “Go Brand Yourself: The Secrets of Branding For Success.” He’s published extensively in major news outlets and has appeared nationally and internationally on TV and radio programs. Q: Let’s first understand what is branding, and how it will help our authors build their marketing platform. 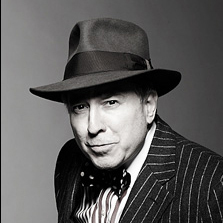 To contact Dr. John Tantillo for more information about his valuable powerful branding programs and services.